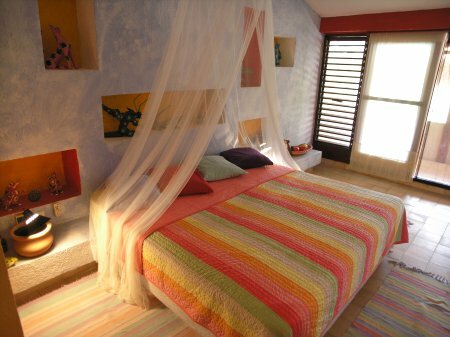 Located in north Akumal, this large villa provides guests with direct access into the stunningly beautiful Yal Ku Lagoon. 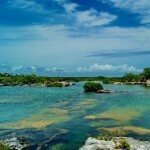 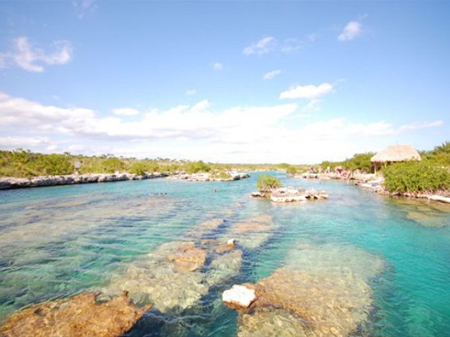 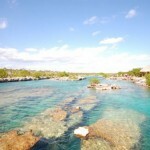 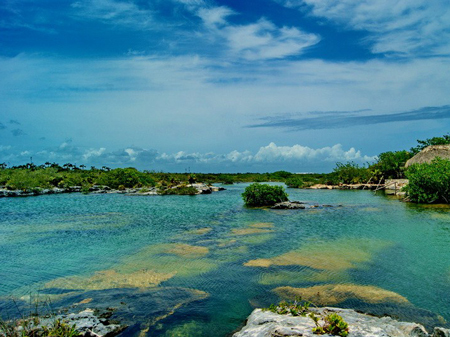 With tropical fish entering from a natural channel from the sea and countless crevices and caves, the lagoon offers spectacular, easy access snorkeling that is a contrast to area bays and reefs. 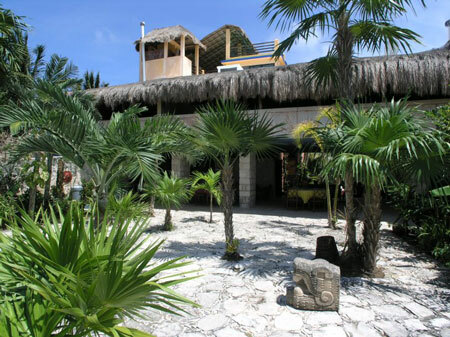 Previously owned by the band The Grateful Dead, this house has hosted countless get-togethers and has become an Akumal landmark. 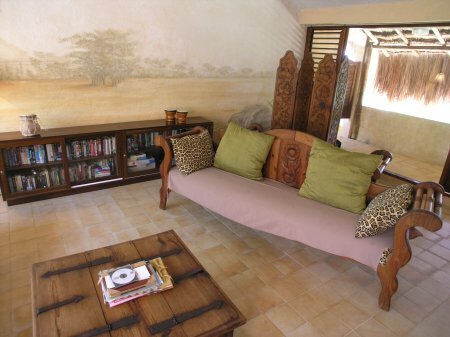 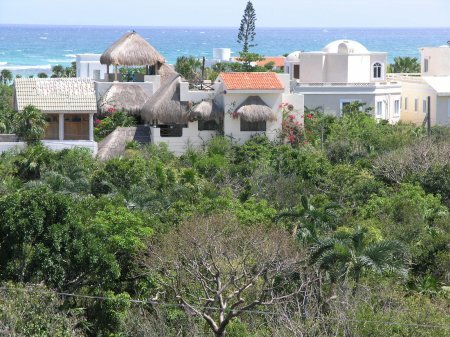 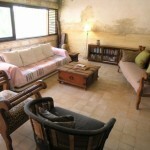 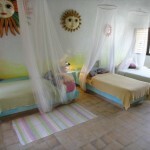 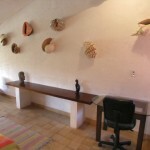 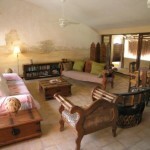 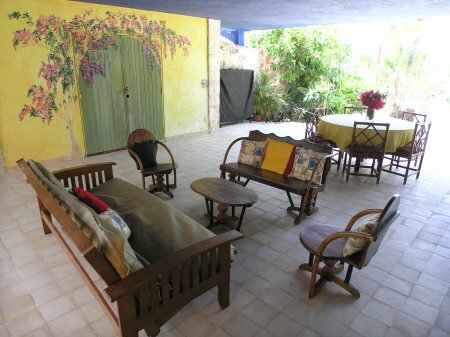 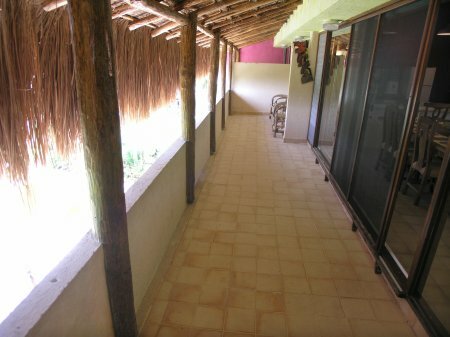 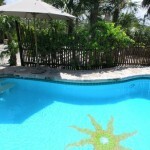 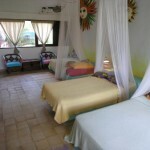 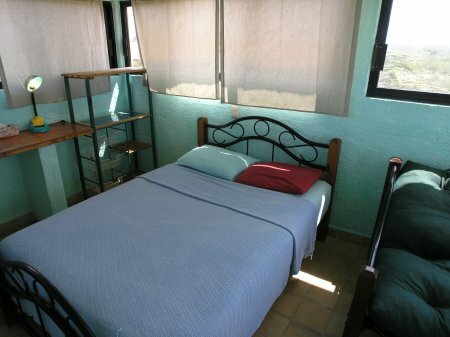 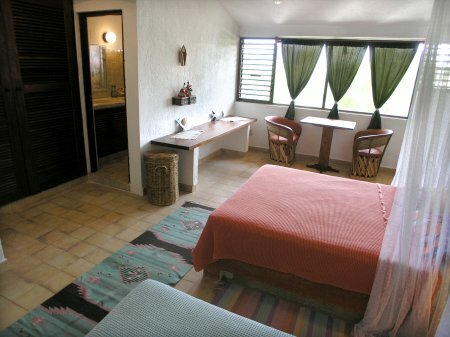 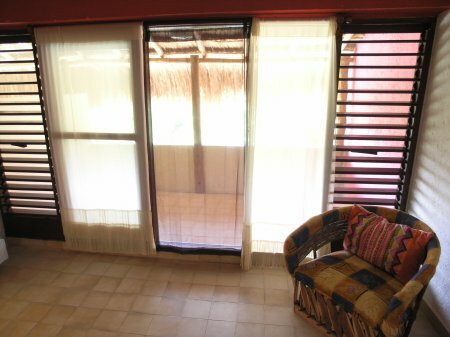 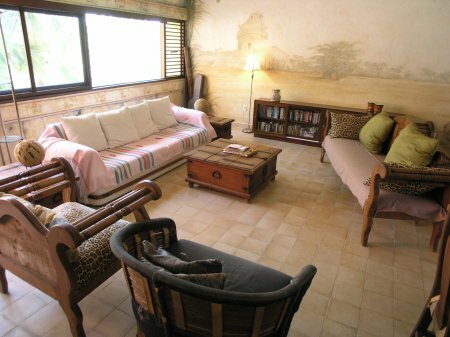 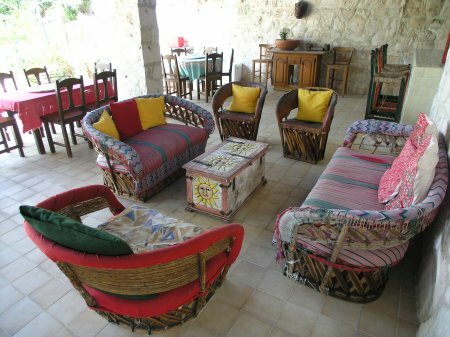 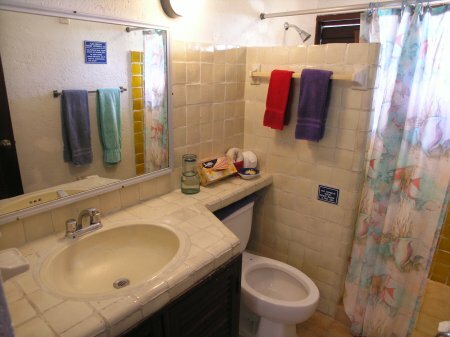 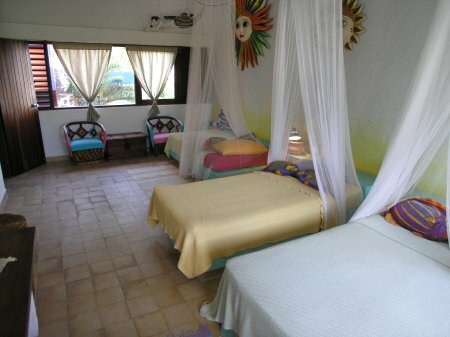 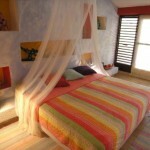 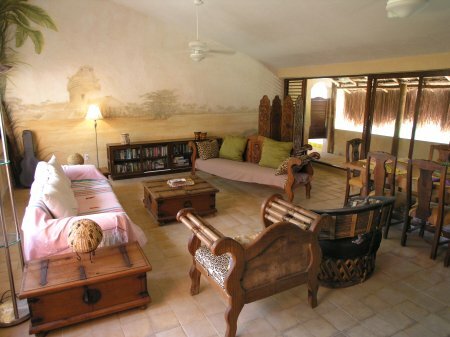 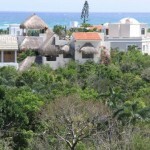 Perfect for large groups or families, Casa del Sol sleeps up to 14 people. 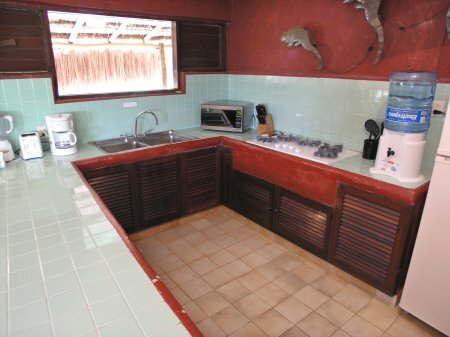 The outdoor kitchen and living area on the lagoon side of the property are great for outdoor entertaining and family gatherings, and, for those that prefer indoors, the main kitchen, large living area, and lagoon side terrace are perfect. 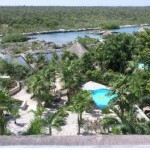 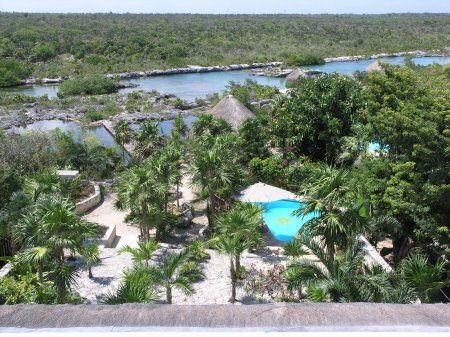 There’s also a fabulous roof patio, half covered by a palapa and half open to the sun and stars and surrounded by the ocean, the lagoon and the jungle. 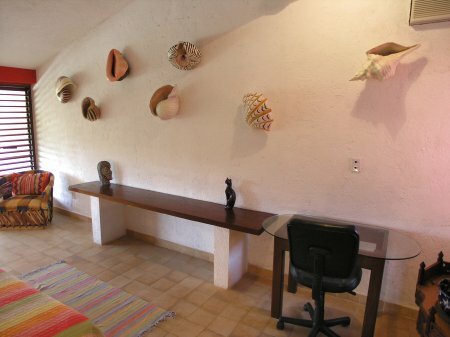 Casa del Sol is well known for the many unique and attractive murals painted throughout the house that highlights the area’s Mayan history and natural beauty. 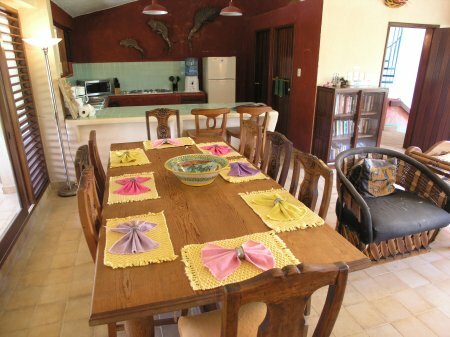 This house is truly one of kind and lends itself very well to casual guests that wish to “hang-out” together and have a great time. 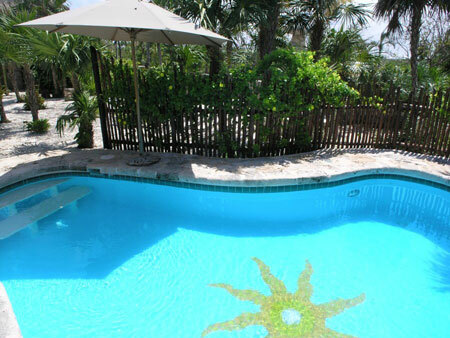 Casa del Sol offers many amenities, including a gorgeous swimming pool and a lagoon side palapa with plenty of hammocks and lounge chairs for snoozing away the afternoon. 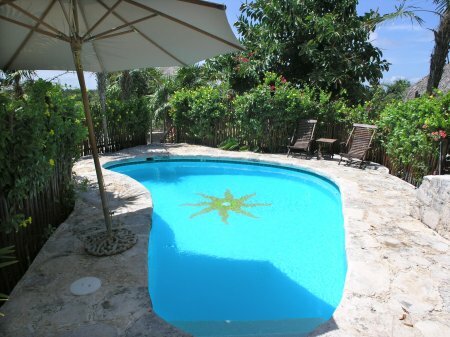 Access to the lagoon is very easy, just down the garden path and across your own private bridge into the cool waters of the lagoon. 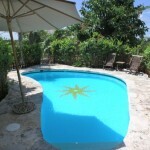 There’s also a waterfall with it’s own small dipping pool on the lagoon side of the property. 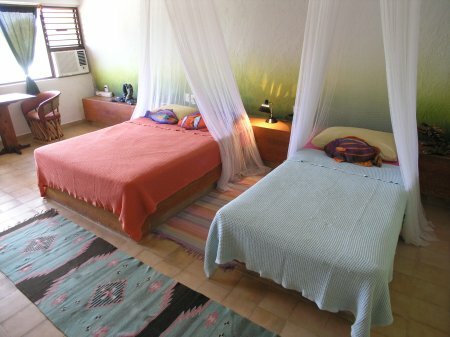 The refreshing waterfall is a wonderful place for a relaxing water massage after a swim in the lagoon, and the dipping pool is also great for kids to play in when the waterfall is switched off. 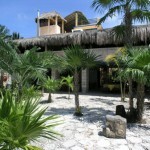 Kids also love playing in the sandy beach area built near the lagoon and shade palapa. 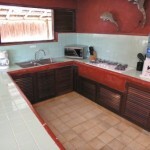 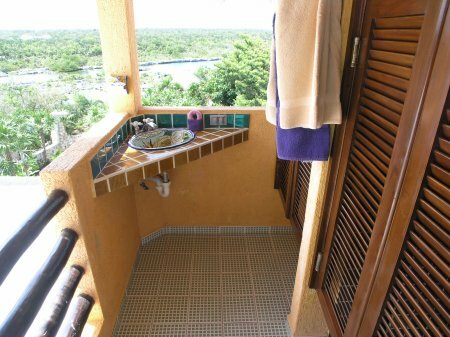 There are showers outdoors for rinsing off after snorkeling and water tanks for rinsing your snorkel gear. 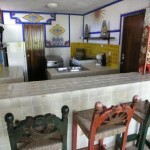 For indoor entertainment, there is a TV with DVD, VCR and satellite in the main living area. 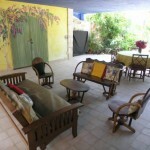 There is also a large library of VCR movies and a few DVDs. 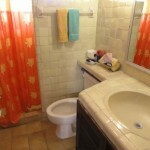 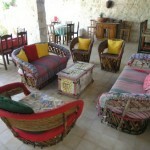 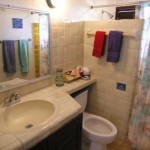 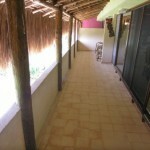 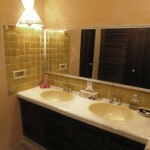 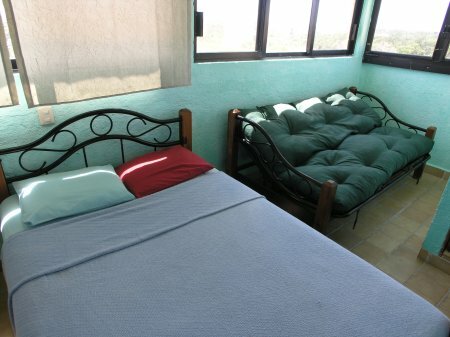 Of the three main bedrooms, one has a double bed, plus two twins beds, a private bathroom, and air conditioning. 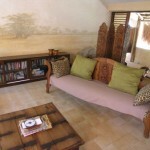 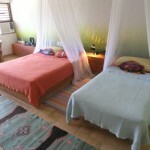 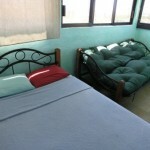 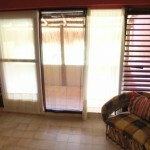 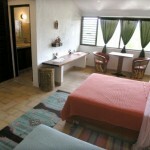 The second bedroom has one double bed, one single bed, a private bathroom, and is also air-conditioned. 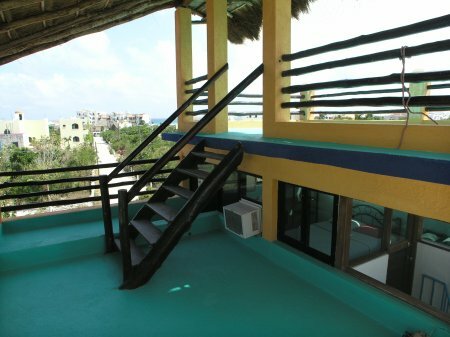 On the third level is the master bedroom which has a king bed, a private bathroom, air conditioning, and it’s own private patio. 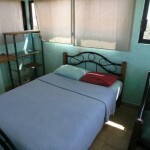 For additional sleeping, the tower with its 360-degree view has a double bed and a single sized futon, as well as air conditioning. 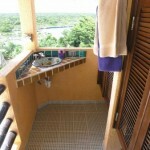 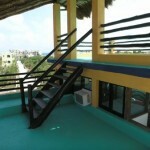 There are also roof top-hammocks and a shower and commode. 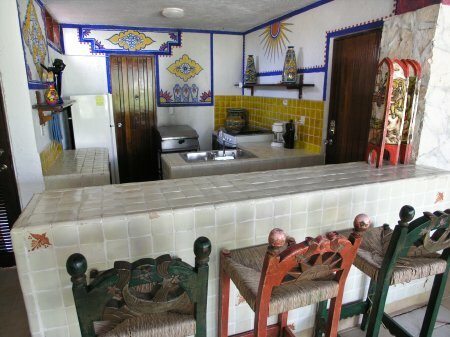 In addition, there’s a garden side casita with a king bed, a private bathroom, a kitchenette with stove and sink, and air conditioning. 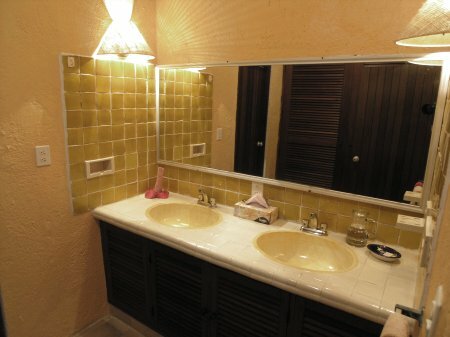 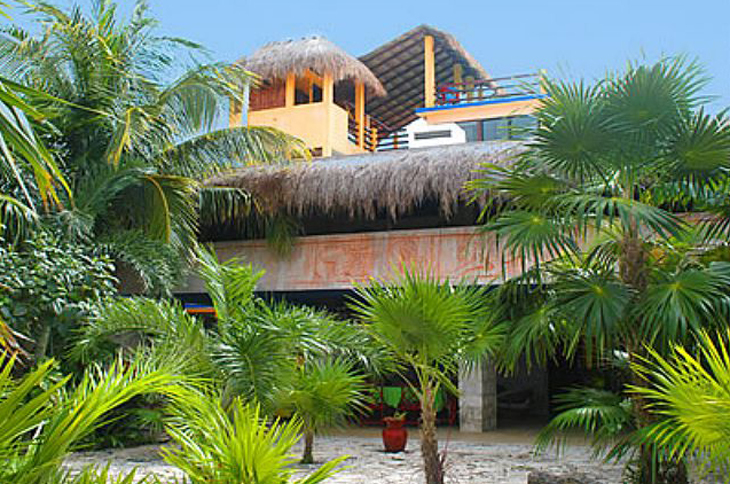 With its large, over-sized rooms, huge patio with outdoor kitchen, lagoon-side shade palapa, pool, and direct access into the lagoon, Casa Del Sol is an excellent choice for those wishing to vacation together, while still being able to “get-away” from everyone, in one of many spaces the property has to offer. 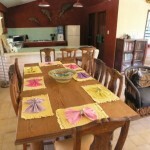 PET POLICY – PETS WELCOME! 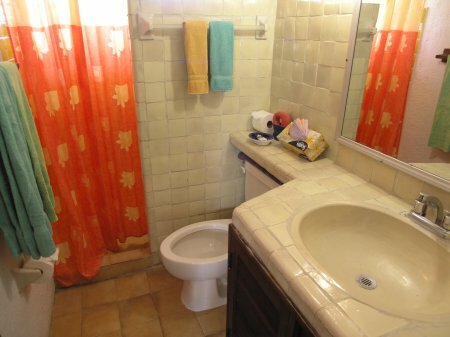 Please ask about additional security deposit for pets.